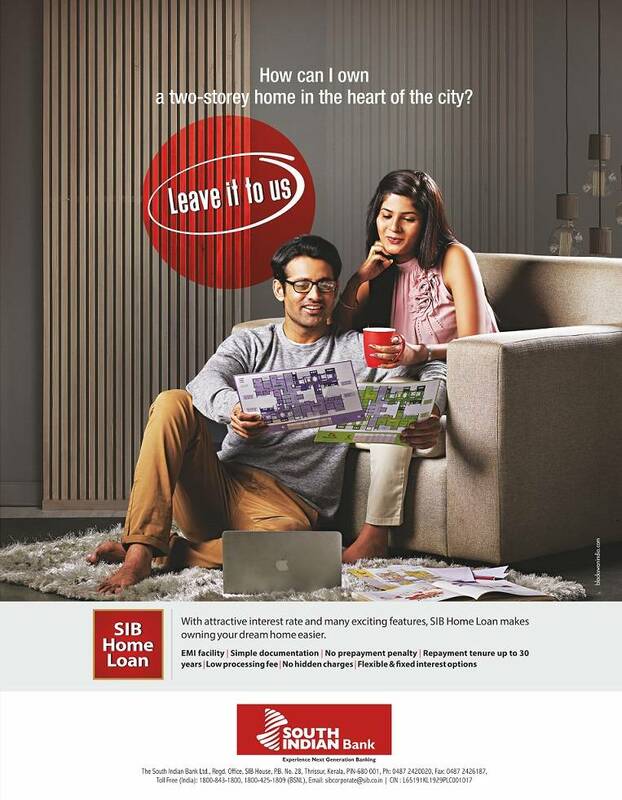 The Kerala based South Indian Bank has launched a new campaign across print, digital and OOH on the platform ‘Leave it to us’. Conceptualized by Blackswan India, the campaign hits the market at a time when the need of the hour is an assurance from the banker to the customer. 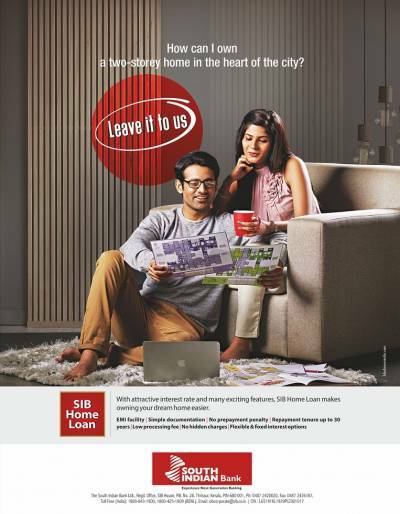 The campaign tells the customer that South Indian Bank is always there for you, whatever your need is. The campaign tries to position South Indian Bank as a ‘bank in need’ – an approachable new-age bank that stands for its customers. From home loans to car loans to banking apps, each advertisement in the campaign promotes a specific offering from South Indian Bank. “The brief from the bank was to give a boost to their retail products, in tune with the vision to make the bank a retail powerhouse by 2020” said Mr. Raman P Namboodiri, MD & CEO, Blackswan India. According to Mr. Pradeep Menon, Co-founder & Head of Strategy and Branding, trust is more relevant than ever in the communication strategy of a bank. “Leave it to us is based on the consumer insight that today’s banking customer needs a reassurance to make him feel at ease”, Mr. Pradeep said. “We had presented many campaign routes to the bank, out of which ‘Leave it to us’ was selected after many rounds of discussion. In the current scenario, they felt, it was the best thing to say. ‘Leave it to us’ is an attempt to project the humane, passionate side of the banker” said Mr. Rajesh Rajagopalan, Co-founder and Chief Creative Officer, Blackswan India. The campaign was executed across print, outdoor, digital and in-branch mediums. As for in-branch communications, designs in all the branches and ATMs across India (854 and 1332 respectively, and counting) were changed in a very limited time frame. “The servicing and creative teams worked in tandem to complete this mammoth task in a short span” added Mr. Rajesh.